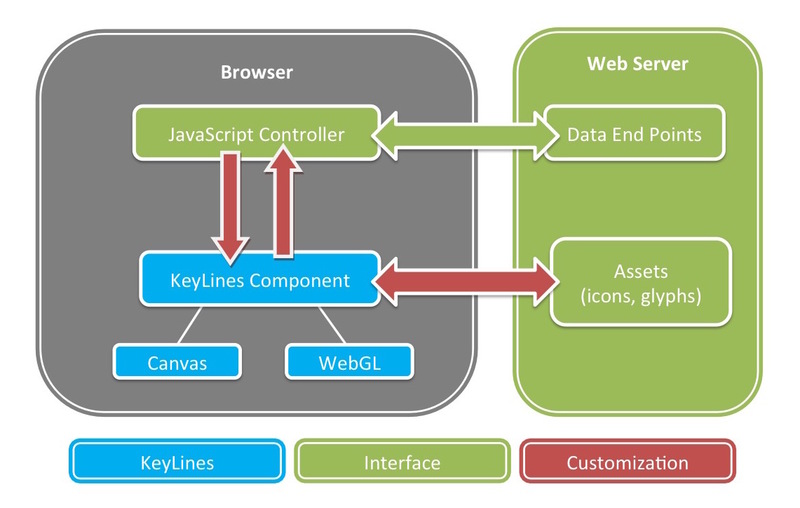 An overview of the KeyLines application architecture. Before getting stuck in with a KeyLines evaluation, many of our customers have questions about how everything works under the hood. For this KeyLines FAQ, we thought we would get a KeyLines developer to answer the top 10 questions we get asked by new customers about KeyLines’ Architecture. Feel free to add any other questions in the comments section! 10. Can I write my own layout? Yes! You can write your own layouts, if our ones don’t fit your requirements. KeyLines gives you complete control over the x,y positioning of nodes, as well as allowing you to animate position changes to help the user understand how a layout is repositioning the network. Sure. This requires just a simple change to your customization code (the part of the code that defines what happens when the user interacts with the network). The Neo4j demo in the SDK includes source code giving examples of how to do this (but the approach works with any database). 8. How large a chart can you create? We’re often asked about the largest size chart that KeyLines can display, but in general the answer is that displaying thousands of nodes and links – which KeyLines can certainly do – does not often make an effective visualization. In performance experiments with our WebGL renderer we have created KeyLines charts with several hundred thousand nodes, but you really don’t want to do this in a practical visualization. The number of nodes can quickly become visually overwhelming and doesn’t provide effective insight into your network data. This post explains further: How to Visualize Large Networks. Be careful what you wish for. 50,000 Nodes in a KeyLines chart. 7. Can I load a huge network, but only show small parts at once? Yes, this is a good approach to working with a very large network. KeyLines will happily load networks containing hundreds of thousands of nodes into the client memory and show/hide certain subsets of the data on demand. 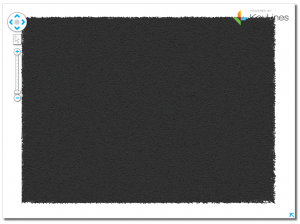 Again, the SDK has examples of this – see the ‘Filters’ demo. 6. Why run analytics client-side if it only works on the subset of data in memory? Remember, you can hold a lot more graph data in the memory than is feasible to show. Analytics will run in all of that data, not just the subset on screen. This means you get the very direct and interactive experience the user wants, without having to constantly go off to the server to retrieve analysis results. 5. Can I pass the data back and forth encrypted? If you need to, yes you can. Because KeyLines is a client-side component, it gives you the flexibility to design the client-server relationship the way you want it, so you can use SSL or other security mechanisms to protect the data as it travels between server and client. 4. What is the server performance like? The only direct impact that KeyLines has on server performance is the need to download the component to the browser when the page that uses KeyLines is first loaded. 3. How secure is KeyLines? Basically, it is as secure as you need it to be. 2. How do I add all those other cool UI elements that you have in your demos to my code? 1. How do I get data from the database into KeyLines? The required object format is documented in detail in the SDK. How you get the data from the database into the KeyLines format is up to you – which gives you a great deal of flexibility in designing your architecture. Some KeyLines users are using traditional relational databases; others are using graph databases like Neo4J or Titan; others are using different NoSQL approaches. The SDK includes examples of how to work with different databases, along with full source code. Working with a Neo4j graph database? You can find more details on how to connect KeyLines to Neo4j in our Getting Started Guide. Feel free to post any of your own questions in the Comments section, below.